Another game, another history-making performance from the 19-year-old. It's a play that embodies Marvin Bagley III's career. It was the fourth quarter in a game the Kings had to have. Looking to ice the win against Phoenix, No. 35 was once again in the right place at the right time, blocking a shot under the rim before snagging Nemanja Bjelica's save attempt. Deciding to take the rock himself, Bagley surveyed the floor before turning on the jets. Gliding like a gazelle, the rookie drove past hapless defenders on the perimeter before finishing in traffic for the and-one. 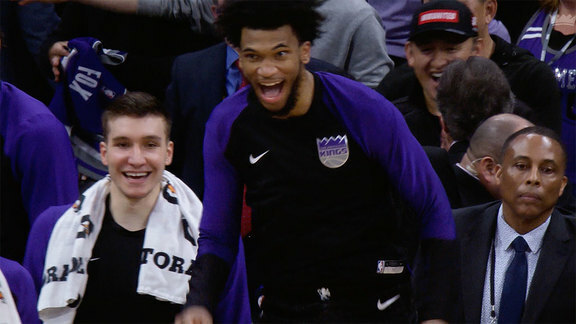 The sequence counted for a mere three of a combined 117 points from Sactown, but it signified much more than a SportsCenter highlight. Bagley is cementing his status as a future star, setting a new career-high with 32 points on 10-15 shooting with seven rebounds in 32 minutes. "It was a big game," said the rookie big man. "I had to be locked in and ready to do whatever I could to help the team out...We got the win." 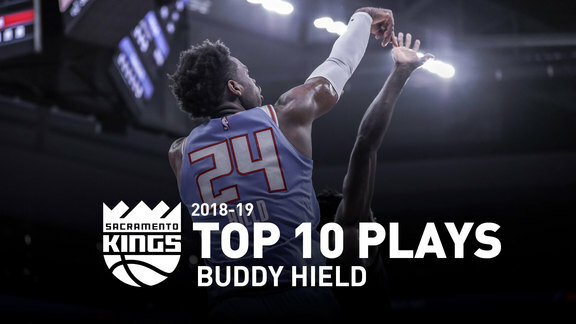 His performance set a new Sacramento franchise record, becoming the youngest player in team history to score 30+ points in a game. As the youngest member of the young Kings, Bagley is well on his way towards a star-studded professional career. Catch MBIII and the squad in their final game before the All-Star break on Wednesday in Denver.